Born: July 25, 1821, Hudson, Summit County, Ohio. Died: May 3, 1895, Put-in-Bay, Ohio. 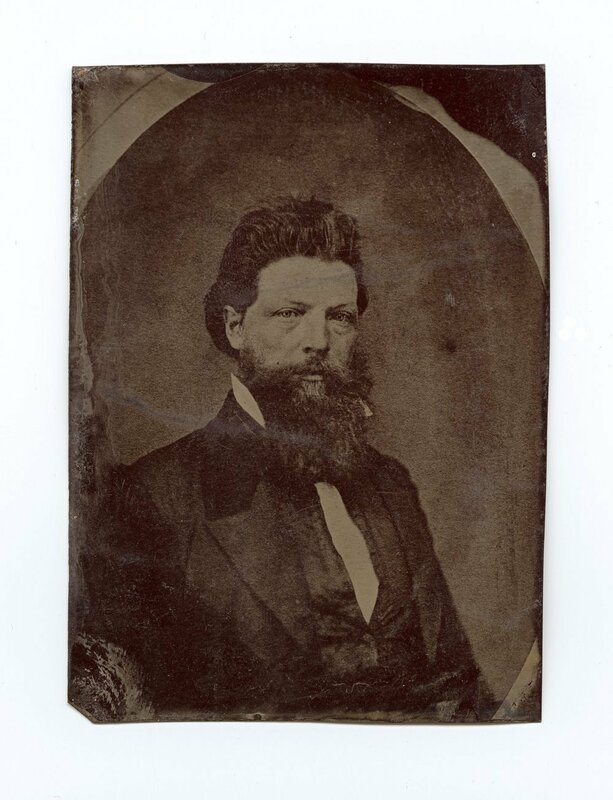 John Brown, Jr., was born in Hudson, Summit County, Ohio, on July 25, 1821, to John Brown and Dianthe (Lusk) Brown. The younger Brown enrolled at the Grand River Institute in Austinburg, Ohio, around 1842. In July 1847 he married Wealthy Hotchkiss. The couple settled in Springfield, Massachusetts. Brown moved with four of his brothers to Kansas Territory in spring 1855. While his brothers Frederick, Owen, and Salmon traveled by land, Brown and his brother Jason traveled by boat along with their families. He was elected to the territorial legislature in 1856. Brown did not join his father and brothers in the Pottawatomie Massacre in Franklin County, the brutal killing of five proslavery settlers. He was, however, arrested in connection with the murders and held for many months on charges of treason. Prior to imprisonment he suffered a mental breakdown. As the time to decide if he would participate in Harpers Ferry came near, Brown, who was suffering from mental illness, experienced more anxiety. He was not present at Harpers Ferry, Virginia (now West Virginia), however, he did help his father’s pursuits. He assisted with the shipment and forwarding of arms. Brown guarded weapons at West Andover, Ohio, and helped ship them to Chambersburg, Pennsylvania, where his father’s assistant, John Kagi, received them. The younger Brown served as the agent of emigration for the British North American Provinces between 1860 and 1861. During the Civil War, he was made captain of a company he had raised of men from northeast Ohio, but ill health forced his resignation. Afterward he settled at Put-in Bay, Ohio, where lived the rest of his life. He died there on May 3, 1895.